Game day is an exciting time for young athletes. It’s easy to get caught up in just getting to the field, court or gym and jumping into competition. But taking the correct hydration and nutrition steps before, during and after games can keep athletes healthy and productive. It can help limit injuries and speed up recovery time. Here are some key factors that young athletes and their parents should consider on game day, according to Taryn Cullen, a registered dietitian for Novant Health Sports & Performance Medicine powered by EXOS. Keep hydrating all week and ramp it up an hour or two before the game. Cullen said that if a game is 60 minutes or shorter, drinking water is usually fine. 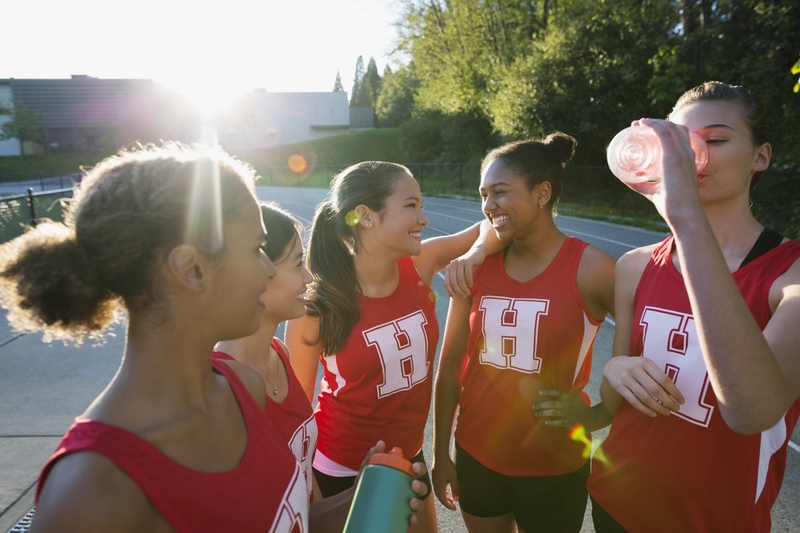 If your game is longer than 60 minutes or outside on a warm day, consider a sports drink to help replace electrolytes you lose through heavy sweating. Another option is Nuun tablets, which are hydration tablets (made from plant-based ingredients) that you dissolve in water. Also, snack on a piece of fruit during halftime. Food is important because it’s what an athlete needs for fuel. Timing can be tricky because games can start at various times – sometimes early on weekends or at night for school sports. Optimally, your pregame meal should be two to four hours before the game, Cullen said. It should include lean protein, fruits and vegetables, and definitely some complex carbohydrate or whole grains, Cullen said. High-fiber carbs like a sweet potato are OK. Use healthy fats, like olive oil. An hour or two before the game, have a snack that’s easy on your digestive system, such as toast or fruit. Always try to avoid fatty, heavy foods that won’t settle well in your stomach. Strive to take these steps 30 to 60 minutes after a game or vigorous workout. That’s when it will benefit your body the most.